The raw deal to a raw salad must be recognised and hailed as healthiness and for keeping it really easy and simple in our kitchen. Of course. I in fact love the concept to raw salads, but can't be a regularity because my half-half does not really fancy. Maybe every now and then is acceptable to him, whereas I am every willing to tuck into a raw salad even if its daily and sometimes raw salads are not necessarily an accompaniment for my rice meals (Penang Acar). They can be my snack as well when I feel like munching instead of grabbing junk food (Apple Cucumber Salad, Watermelon Salad & Malaysian Mango Salad) and anything for the matter made with vegetables is most probably low in calorie counting (Shahi Gobi, Cabbage Upkari, Kashmiri Vegetable Soup & Vegetable Raita). 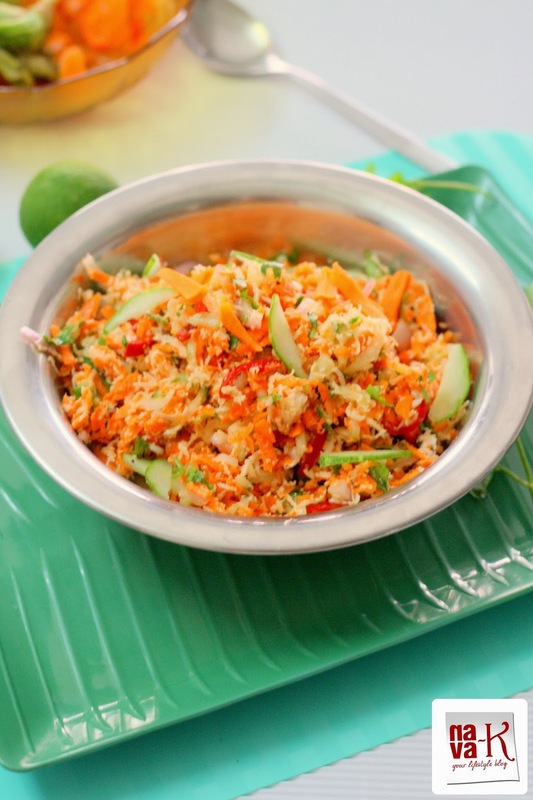 Moreover, when we speak about this Sri Lankan Carrot Salad (Carrot Poriyal)? 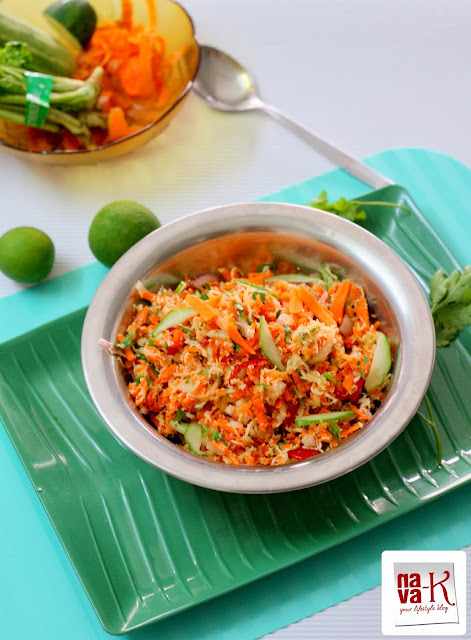 An ultimate fresh raw burst to natural sweetness (Cucumber Yogurt Salad) of carrot and cucumber, refreshing tropical grated coconut (Sri Lankan Coconut Gravy), tadbit of heat from red chilli and green chilli, and tangy lime juice. Enjoy the salad as a side with or whatever you prefer. So colourful and nutritious salad with a wonderful Photography. Healthy way to start new year. Happy New year. eating rainbows and its so healthy too! Nava, best wish to your and your family in 2014! 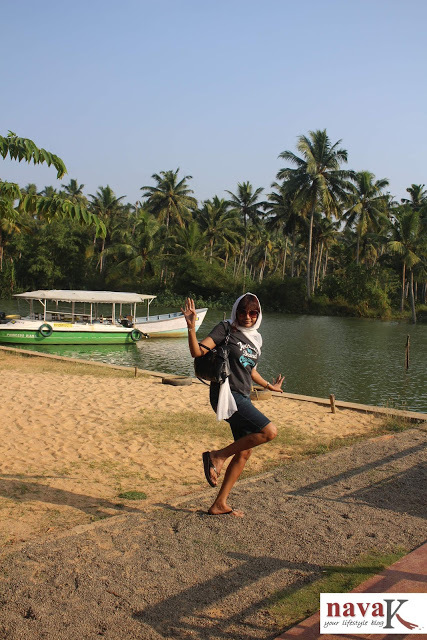 A very Happy New Year, Nava! Hope I will see healthy and not so healthy but still see your delicious recipes in 2014. This salad looks a good change after eating party food. Lovely salad. 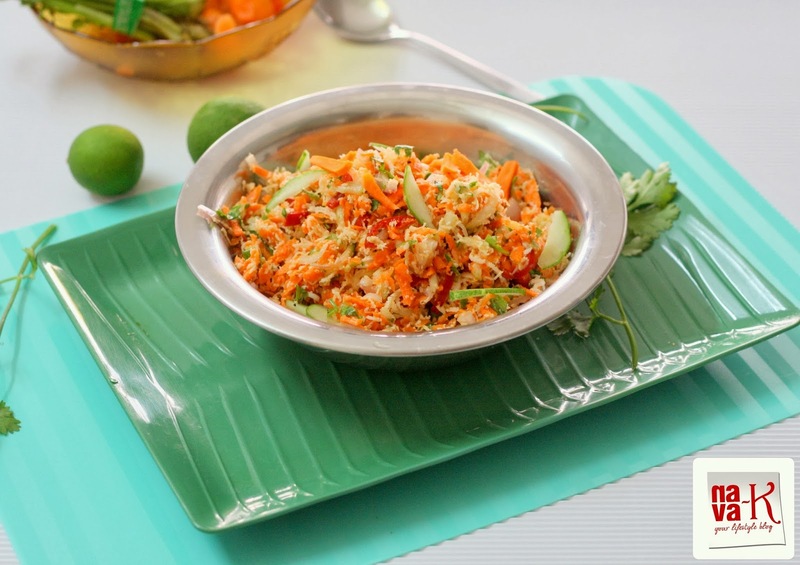 Looks like Kosambri, the Indian carrot salad! We make similar salad with grated carrots and cabbage!! And give it a tadka of mustard seeds and hing!! Love it!! I love this colourful start to the New Year. Being healthy is an added bonus. I agree with you on maintaining a balance between dishes. This one looks amazing and the recipe is so straightforward. Can't wait for the chilli prawn! A healthy way to start the new year.. Colorful and of course very healthy food..
Awesomely colourful and fresh salad......health for sure! Refreshing and healthy my type of salad for these hot days.